Chocolate Chip Cookies are the quintessential American dessert, in my mind. This was the one dessert my mother would make semi-regularly and I think it was one of the first recipes I ever made. The recipe we used wasn’t an old family recipe — it was pulled from the back of the Toll House Morsels bag. This was a fine recipe, but after a while this recipe didn’t work. For some reason the cookies were absolutely flat and hard like a disc. I struggled with that recipe for years – I tried several other recipes and just didn’t like any of them. I then tried a recipe with Raw Sugar — I had never tried Raw Sugar before. It turned out pretty good, but it wasn’t perfect. I adjusted this recipe a bit and absolutely love it. I make chocolate chip cookies once or twice a quarter now and have had no complaints at all. Preheat the oven to 375F. Mix the first four ingredients, then add the remaining and mix. 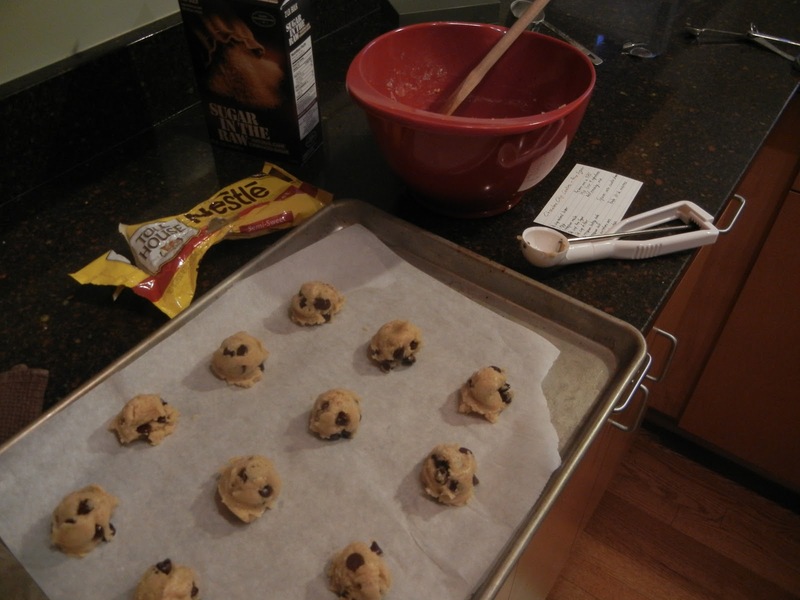 Use a small cookie scoop (1-1.5″) to dish out cookies onto a parchment paper covered cookie sheet. Bake for 11 minutes, or until the bottom is brown and lightly golden brown on top. The real key to this recipe is the Raw Sugar. Such a great component. A friend of mine showed me, a few years ago, how to keep cookies nice and fresh. You put the cookies in an airtight plastic container and put a piece of bread in with the cookies. The bread gets hard and the cookies stay soft and fresh for a long time — which won’t really matter, because these cookies won’t last long — you’ll eat them all up very quickly. Do you have a childhood recipe that you love but needs improvement? 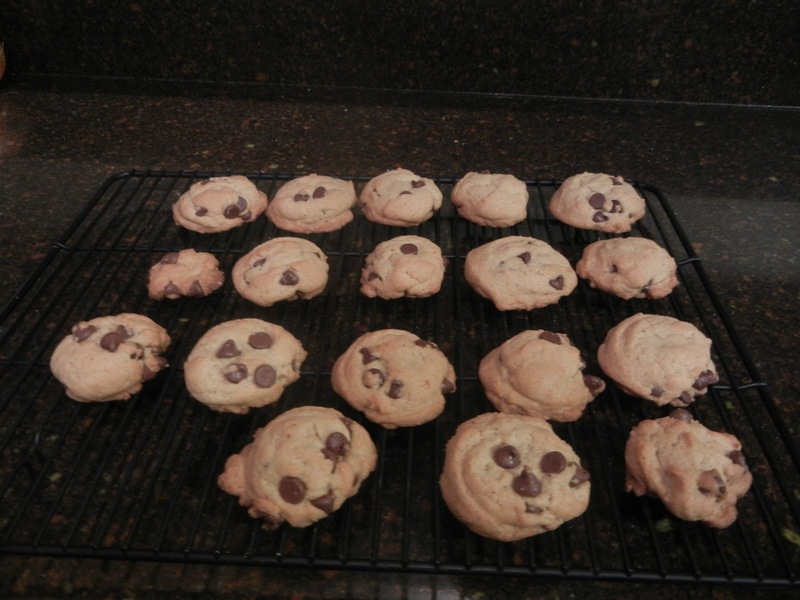 How often do you make chocolate chip cookies — and how much of the raw dough do you eat? How long after the cookies are made do the cookies last? By Tim in Food on January 23, 2012 .